The item system is beautiful: adding new ones is simply setting the properties for a prototype and it will then automatically show in the UI with a key help if the player has it and is able to use it currently. Past two days I haven’t been coding as much as I’d hoped, but I have still made some progress. Since day 1, the most visible addition is the UI (pictured below), which features some stats and weapons. It’s functional, although you can’t yet buy weapons, so the inventory is hard-coded. Another important addition is enemies and combat. It’s still very primitive and being ranged instead of melee brings a whole lot of issues that need thinking. However, it is now possible to kill bandits and die yourself. Other things include some cosmetic changes and adding furniture to the houses (needs improvement though, and there aren’t any special places like a saloon yet). At some point I thought of actually using one of my previous 7DRLs, City of the Condemned (C++) as a starting point when I realized the town generator is going to need a whole lot of stuff that’s already in CotC. However, being playable in web browser and not particularly liking CotC’s generator code (the output I find very nice though) tipped the scale to Unicodetiles.js. My plan for next is improve the combat mechanics and start adding important shops like a doctor’s office and a gun store. However, as I’m not a huge fan of menus, I might need to think about the implementation a bit. This will be my fourth 7DRLC and this time I’ve decided to create a game set into the Old West. There certainly aren’t too many roguelikes (or any games for that matter) with that theme. In the game, you play as the sheriff of a randomly generated frontier town which will contain all the basics such as a saloon, hotel, bordello, bank and church. Player’s task is to defend the town from bandits, catch criminals etc. in randomly generated missions that appear dynamically. This game will feature a bit deeper role-playing elements than my previous 7DRLs. Still, my main focus will be modelling a lively town to explore, and interesting, varying “quests” to accomplish. I’ve yet to decide on the name but these are potential candidates: Sheriff, Lawman, A Town Called Mercy, A Town Called Hope. The game will be playable in a modern web browser using my own (recently updated!) Unicodetiles.js engine (that I also used last year). 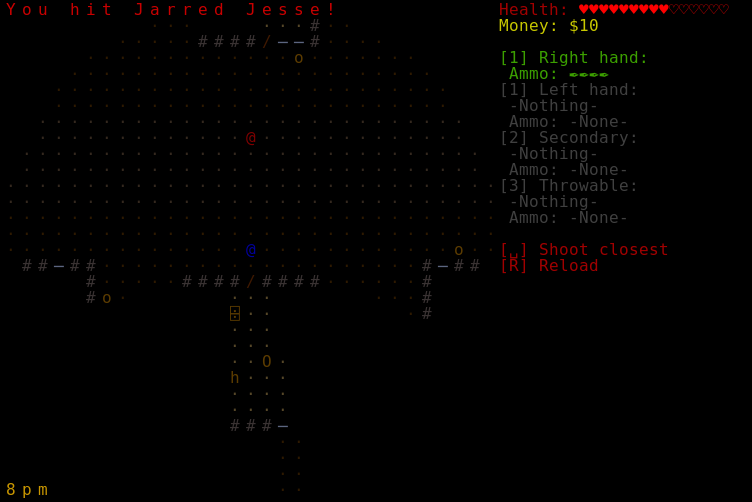 This is the community blog for the Seven-Day Roguelike (7DRL) Challenge. Here you can share your plans, updates on progress (or lack of progress), helpful algorithms, screenshots of your game, and other 7DRL-related content! This year’s challenge will run from Saturday 4th through Sunday 12th of March 2017. 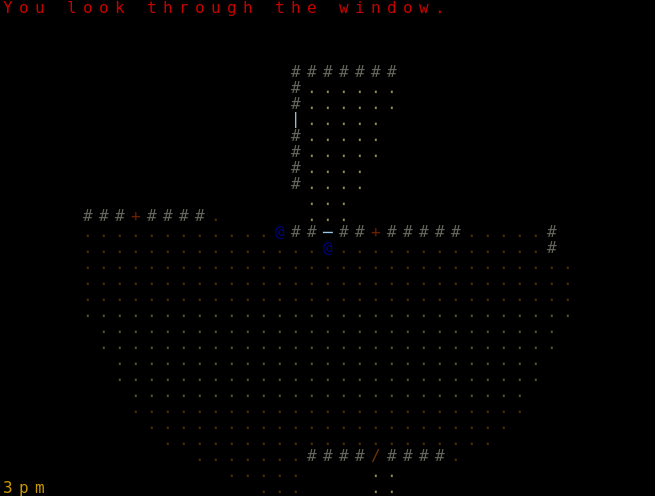 You can choose any 168-hour window within this period to develop your roguelike.